Everybody can plainly see that Trump’s campaign promises to drain the swamp of Goldman Sachs is absolute malarkey. If you can’t, you may be stuck in the denial phase of promises of change that Obama supporters years ago believed was coming to no avail. Not only has the current POTUS breached his promises, what we have – arguably – is a White House cabinet stuffed to the cream filling oozing with Goldman Sachs personnel. The thing is, Goldman Sachs is guilty of ripping off America, and still has criminal conspiracies obstructing justice on a grand scale, as my series on Wall Street frauds is pointing out (here – here – here). Back in November 2016, Politico pointed out that Steve Mnuchin, Steve Bannon (now resigned), Anthony Scaramucci and Gary Cohn are all Goldman Sachs alumni. In March 2017, the Congressional news website – The Hill– pointed out Trump had nominated two other Goldman Sachs alum, James Donovan, and Dina Powell. Also transpiring in March 2017 was a nomination that eToys whistleblower Laser Haas sued to block; which is haunting our nation. Though you may have heard about Trump nominating Jay Clayton to be top Commissioner of the SEC, what you didn’t hear about is the fact that the Washington, D.C. Clerk of Court illegally blocked eToys whistleblower Laser Haas’s lawsuit seeking a TRO (here) to block Jay Clayton, due to his being directly linked to 3 criminal co-conspirators. It is well known that Jay Clayton was a partner at Sullivan & Cromwell law firm, which represents Goldman Sachs in New York; and that Mr. Clayton’s wife (Gretchen) is a partner at Goldman Sachs Mergers & Acquisition division. A lesser-known fact, as pointed out by the New York Times, is the detail that Jay Clayton was invested in Bain Capital. As I reported, another Goldman Sachs law firm (MNAT) worked the Delaware merger of The Learning Company with Mattel, which ultimately resulted in a catastrophic loss of $4 billion dollars for Mattel investors. Recently, this reporter did a lengthy report on the dynamics of Delaware federal prosecutor Colm F. Connolly. Connolly, as reported, clerked for 3rd Circuit Judge Walter K. Stapleton (who just so happens to have been a partner of MNAT). Colm then became an Assistant United States Attorney in 1992 – and he remained there until 1999 – where Connolly switched sides to become a partner of MNAT. Also, in 1999, Goldman Sachs took eToys public, and there appears to be a conflict of interest issue where eToys.com stock price went above $75; but Goldman Sachs split all the money above $20 per share – with handpicks (see NYT March 2013 article “Rigging the I.P.O. Game”). Whilst Colm Connolly was a partner of the MNAT law firm, MNAT conspired to rip off court-approved clients of Laser Haas CLI entity and eToys. Furtively, MNAT was harming Laser and eToys for the benefit of MNAT’s secret clients/partners of Mattel, Goldman Sachs, Bain Capital, Paul Traub, Barry Gold, Michael Glazer and Colm Connolly. Laser was the 2001 court-appointed fiduciary of eToys, who stopped MNAT & Paul Traub’s schemes to sell eToys billion dollar public company for $5.4 million to Bain Capital/KB (with Michael Glazer as CEO of KB). When Laser ‘s efforts forced the eToys case bids up, into the tens of millions of dollars, the bad faith parties offered Laser a million dollar bribe to shut up and stop whistleblowing, and a chance to become a roaming manager for Bain Capital. The bribe was turned down By Laser and reported to the Delaware Department of Justice in mid-2001. 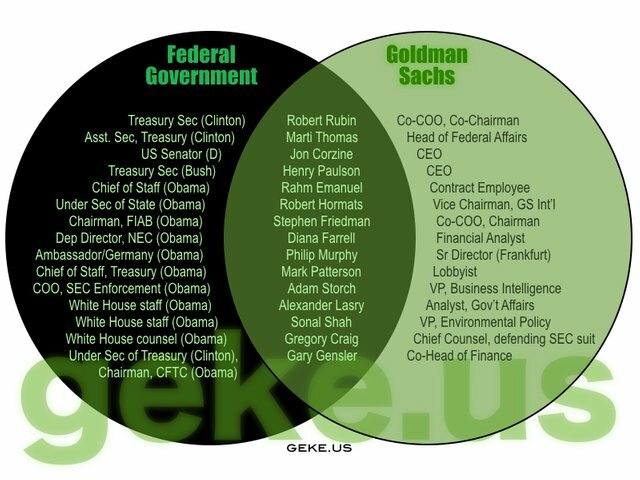 Apparently, Goldman Sachs always has the ability to get its associated parties “planted” into key government positions, hich as this series has demonstrated time and time again is a little more than just a coincidence. Upon Laser turning down and reporting the bribe, Colm Connolly was then returned to the Delaware Department of Justice; this time as top dog, to be The United States Attorney in Delaware (where Colm presided over KB, Fingerhut, MNAT, Paul Traub, Goldman Sachs, Bain Capital, Learning/Mattel and eToys billions of dollars in fraud cases). It wasn’t until 2007 that Laser learned the fact Colm Connolly was a partner of MNAT, which is germane due to the fact that Colm Connolly, via his Assistant U.S. Attorney, Ellen Slights, continued to refuse to investigate MNAT and its partners/clients. On December 7, 2007, Laser reported (here) the facts of Colm Connolly’s bad faith to the Los Angeles United States Attorney office, where the Public Corruption Task Force was housed. Instead of addressing Colm Connolly’s betrayal of the public’s trust, GW Bush’s flying buddy, Tom O’Brien, walked into his weekly staff meeting, berating federal prosecutors, as he shut down the Public Corruption special unit. Making matters extensively heinous and more egregious, O’Brien had the unmitigated gall to threaten career federal prosecutors to keep their mouths shut – or else (see L.A. Times March 2008 article “Shake-up tools federal prosecutors”). In other words, Goldman Sachs, even before Donald Trump handed Sachs the keys to the kingdom, was able to obstruct justice in almost every way conceivable. Now that Goldman Sachs has gotten away with obstructing justice for the better part of 20 years, including retaliating against whistleblower Laser Haas, whilst benefiting from racketeering partnership with Bain Capital, Goldman Sachs sees an even bigger chance with Mitt Romney running for Senate (that everybody knows means a run in 2020) and a renomination of Colm Connolly for the federal bench. On top of all that, Jay Clayton feels so secure in his Goldman Sachs obstruction of justice position that Clayton is now proposing a new paradigm of blocking investors from suing Wall Street (see NewsmaxJanuary 2018 article “Trump’s SEC mulls big gift” to Wall Street). Meanwhile, Clayton seeks to play “cryptocurrency cop” wanting to enforce SEC regulations on everyday American investors in a volatile market that is redistributing wealth to normal citizens through financial technology as the recent cryptocurrency hearing on Congress displayed – an obvious contradiction of Clayton’s oath of office. In one case he wants to enforce the law; in the other, he wants to deregulate existing laws enabling fraud for his buddies on Wall St.
Why are you, Mr. Clayton, changing laws to benefit a few; and seeking to deprive investors of their legal right to redress grievances? Why have you yet to appoint an independent investigator into the eToys cases? As for you Mr. President Trump, it is clear that you are going out of the way to assure Goldman Sachs and its partner Bain Capital continue to get away with their Wall Street frauds. Don’t you have enough issues with obstruction of justice already? If all that isn’t enough, we now have Mick Mulvaney, who is on record stating he hates the Consumer Financial Protection Bureau (CFPB), in charge of the agency tasked with protecting consumers. However, he is not as the Equifax case demonstrates. Mr. Mulvaney, care to elaborate why it’s okay for you to stymie investigations and have conflicts of interest in favor of payday lenders? 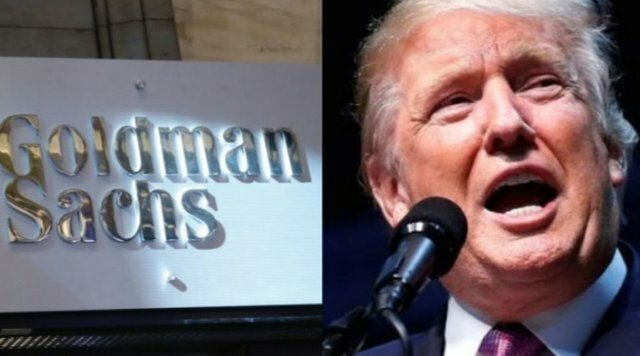 Trump is compounding his Goldman Sachs carnage by renominating corrupt federal prosecutor, Colm F. Connolly, to become a Delaware Federal District Court Judge, where Colm will be 1 of only 4 judges to review MNAT, Bain Capital, and Goldman Sachs-related cases. As this investigative journalist recently reported about Colm Connolly, there is clear evidence that Colm Connolly’s Bar Card should be yanked, and – quite possibly – Connolly should be tried in a court and sent to jail. After Colm’s partner, MNAT, threw Laser out of eToys, MNAT, in 2002, nominated Tom Petters Ponzi “control” partner and schemer, Paul Traub, to sue Goldman Sachs (who was represented by Sullivan & Cromwell) for eToys stock fraud. Goldman Sachs sued Goldman Sachs, and eToys lost again. Furthermore, with whistleblower Laser Haas out of the way and MNAT partner Colm Connolly “planted” back into the Department of Justice to assure no investigations or prosecutions would transpire against Paul Traub, Goldman Sachs or Bain Capital, MNAT was able to reduce the sales of eToys to Bain Capital/ KB. The thing is, MNAT is the court-approved law firm to represent eToys, which means MNAT betrayed its court-approved client for the sake of its secret – more lucrative clients – of Goldman Sachs & Bain Capital. Too many times, federal agents and even agencies have threatened whistleblower Laser Haas, instead of doing their job of arresting and prosecuting Wall Street frauds. Just last week this reporter wrote an article (here) on the FBI and Delaware Assistant United States Attorney Ellen Slights using the FBI to threaten Laser Haas after eToys shareholder Robert Alber woke up dead and Laser reported it. Laser blew the whistle on eToys, in 2001. Around that time, MNAT became a partner in the crimes of Mattel/Learning, Fingerhut, KB and eToys frauds. Colm Connolly was an assistant federal prosecutor who became a partner of the MNAT law firm in 1999; and then Colm returned to being a federal prosecutor on August 2, 2001. Connolly’s return to the DOJ arguably was to make sure of no investigation or prosecutions of MNAT and its secret clients of Goldman Sachs, Bain Capital (and Paul Roy Traub), who to reiterate was the control of the Tom Petters Ponzi yet was never jailed or investigated for his involvement in other previous schemes. Many cases were looted resultant of the corruption to aid and abet the numerous racketeering acts of MNAT, Paul Traub, Sullivan Cromwell/Goldman Sachs partnership with Bain Capital schemes and artifices to defraud. Colm Connolly and Jay Clayton are still obstructing justice by their refusing to recuse themselves and their consummate failures to come clean. Trump, Sessions, the FBI, Jay Clayton/SEC and Delaware Assistant United States Attorney Ellen Slights were sued on March 22nd, 2017 by Laser Haas, where those parties were alerted to the case specifics. It is inexplicable and intolerable that Trump’s Administration watchdog agencies are remaining in abject silence concerning the Goldman Sachs & Bain Capital Wall Street fraud cases; because Laser’s most recent lawsuit is almost a year old now. Given the undeniable evidence, such as Colm Connolly’s résumé (here) being proof that Colm was a partner of MNAT; and the FBI contacts with Laser being irrefutable; then it is a compounding dynamic that Trump has nominated Colm Connolly for the Delaware Federal Bench. Who gave the order for the Washington D.C. Clerk of Court to lose Laser’s March 22, 2017, lawsuit against Jay Clayton – until May 24, 2017 – which was three weeks after Jay Clayton was confirmed? As is plain to see, Trump is letting racketeers take over our federal systems of justice, while he spends more vacation golf days than the last 3 presidents combined. Now Donald the Great (wrecker of things) wants to beat his chest louder than Kim Jong-un of North Korea, with a military parade, at great expense upon all of us. Instead of the FBI threatening whistleblowers and Trump’s Administration aiding and abetting Goldman Sachs obstruction of justice, shouldn’t t there be some semblance of justice? Things have gotten so out of control that this reporter has to do a 2nd article on Colm Connolly’s unfitness for the federal bench, and how Trump has gone beyond insane in the judicial nomination of Goldman Sachs cronies and corrupts. I’m leaving you with this picture of the case docket concerning Laser suing Trump, Sessions, the FBI, Jay Clayton, the SEC and Ellen Slights. It shows that everything is contrary to law, being upside down and completely backwards. And that is the point – that “they” (all of Trump’s Administration) – simply don’t care how often the law is broken..
Trump was never to going to deal with the criminal banks and the infrastructure set up to protect them. Man looking at that pic really makes me mad. Anyone that doesn't realize he was killed by our own government is an idiot and has their head in the sand. Absolutely 0% surprised to be reading this. Drain the swamp, right? Hey man our politics are different you are more left-leaning. I am more of a centrist with a bit of anarchy. I think there is a balance needed in general but anyway please check out the rest of this series when you have time this deals with a whistleblower. Who has been shut up by the mainstream media his story is one of the biggest financial fraud stories in history. He is the same whistleblower who helped bring down Bernie Madoff and John Ashcroft the story has to do with murder, corruption and the list goes on and on. This is an old one, Obama-era. I'll be putting together a new one soon. What amazes me is that these are the very same people that initially tried to take down crypto, when they are the source and creators of the current corrupt system we are saddled with in the first place. They are now scrambling around trying to get their piece of the action by once again trying to manipulate even crypto to their advantage, leaving the masses out in the cold as always. It disgusts me that we still in this day and age have people starving to death around the world because of the immense amount of greed that is so rife among the top earners in the world. They need a hard lesson in sharing and also realising that there is enough for all, it is merely a matter of principle. Crypto was doing quite fine until we had these "Banksters" and institutions step in hiking prices up to fulfill their futures contracts. Dragging the average not so informed masses with them on this past wild ride and then pulling the rug from under them leaving a ton of people without a penny to show for their investments done in December. Granted those who got in at record breaking prices should have known better, but it still does not make it right!!! Blessings to all... long live crypto/blockchain tech. PS. I will not even attempt to go into the issues we are facing in South Africa at the moment, very similar but very different at the same time, but we seem to be headed in a reasonably ok direction right now. Seems the entire world has lost it's mind!!! Yea they figured if they couldn't beat it they would sabotage it. Cryptocurrency is one of the biggest revolutions mankind had ever had!!! I think Trump is one of the good guys.. It takes awhile to drain the swamp. I think it's great that there are some people on Steemit who are not afraid of talking about politics on this platform. And now he's allowing the military to conduct strikes on pro-Assad forces in Syria. Will the US media on the left call him out on this? Will they coordinate their stories like we've seen so many times over things like two scoops of ice cream?? I guarantee you..they will not. It seems so long ago now, I do still sort of remember it - Politicians used to actually do what they said they would do, like I say though, it seems so long ago now it is a distant memory. They used to also be able to answer a question without having to beat around it for 30 minutes also. Excellent synopsis of what's happening in Trumpland. Thanks for excellent posts.🍒Agreed both sides are crooked to the core! This is not even 1/2 of the Democrats & Obama’s & Hillary ‘s dirty laundry list. Need to create excel spreadsheet to track 8 years of Obama’s and 8 years of Clinton corruption at least, not including the Washington establishment and deep state. Obama administration’s traitorous acts and behavior to try to bring down the country are disgusting (ie with sanctuary cities & states, illegal immigration, daca and much much more). Need an objective historians to record everything so future generations would take heed and never fall prey to democrats! Very interesting. We don't get to see much in-depth coverage of Trumpism here in the UK media. We rely on reporters such as yourself to provide the details. every country now has a very serious political issue. in Indonesia the country is in debt of up to 3000 trillion more. here needed the policy of the president in handling the existing problems. Good news and accurate. very interesting . I just got finished reading your mkultra article, really excellent work. I am putting together a long post on the 'hearing voices' phenomenon that I find franky all over crime reports in the united states. I wanted to let you know that my last round of investigation unfortunately uncovered a shill nest here on steemit, and you have been resteeming them. Your work has been of such a quality, you are on of a handful of users who I think may just be fooled by them and not part of them. v4vapid is some sort of ringleader, the conscious resistance and kennyskitchen are cops, disobedient media and suzie3d are pure disinfo I don't know from where, caitlinjohnstone and clarityofsignal are probably involved. Everyone who talked about lauri love as if on queue last week, everyone who resteemed everything about disobedient media and 'adam carter', they are all part of it. It could be russian, it could be pro trump forces in the fbi or cia, but these people are not who they say they are ie anarchists or journalists or politicians. I gave them every chance to explain themselves and they just insulted me and acted like my critical questions were somehow insulting them. Because I think you are human and because I verified your mkultra essay is original and accurate, I thought I would give you the heads up. But anyone who continues to operate in that circle with suzie3d and disobedient media, I will have to mute. The main work I have done on steemit is privacy workshop, of which I am quite proud. But I was also given drugs by government agents of some kind last year on at least 2 occasions and was followed, having numerous bizarre encounters with law enforcement that seem to have known I was going to be where I was headed ahead of time, ie national parks, campgrounds, wal mart parking lots, grocery stores, etc. I have yet to encounter anyone on steemit who seems to grasp the significance of what I saw, most of the accounts I encounter could easily be bots/shills. So, I reach out to people I think are human and independent. I will post my hearing voices analysis later today, I would appreciate your comments. Hi, @v4vapid is a friend, @Suzi3d is a long time friend from Occupy days and is an asylum seeker in Russia (we also worked at www.wearechange.org together in 2016), @elizbethleavos also a friend, as is Lauri Love.. @caitlinjohnstone is also a new friend. Yes, your questions are insulting them you are witch hunting saying everyone is apart of some giant Russian conspiracy. I understand you don't understand that but it is absolutely insulting I dealt with being called Russian by Louise Mensch and ProporNot I was even accused of being @LukeWeAreChange. I am American I just choose to keep my anonymity a little more than most. Why? Because real journalism and muckraking is a dangerous job as has been proven with the deaths of my Friend Judith Poe's daughter Serena Shim, Christopher Story, Danny Casolaro and Michael Hastings. The people you are attacking myself included are some of the most targeted individuals alive right now. I hope you actually get to know the people mentioned above who you have bashed as "disinformation agents" because they are all very real people. As for your own article I would love to see what you come up with.. most of what I write are leaks of information included in the stories somewhere or another. I cite everything I write and vet sources because I care about credibility and maintaining that. I asked suzie directly about her experiences, I was truly curious, but she sent me links that were broken and said i had to watch the youtube videos. Then she got really angry and called me names. That did not impress me at all. None of her story makes any sense at all. I don't see any of suzie's actual work from NZ showing her doing anything, at all actually. Just being with the internet party doesn't mean much to me, it would seem with someone like kim dotcom they should at least be funded and able to provide for their own security. None of it makes any sense. And then they rejected my request for open dialogue, multiple times. The only response I have gotten back from them, at all, have been attacks on my character. No consideration of my work, no functioning links. Can you see how their latest post of adam carter, where he writes these huge non technical essays about the fine points of 'fancy bear' whatever, yet overlooks the huge pile of evidence regarding russian fb and twitter paid buys? I am not saying that lauri love is suspect, I believe in her work and follow her story, I just find it very odd, (don't you?) that broze, his bud damon, suzie, caitlin, ms vos, and a bunch of other accounts all wrote nearly identical but differently worded posts about it on the same day. I'm not 100% about anything anymore, but if no one can see where I'm coming from, which I have explained at length with screenshots in my blog, then it just looks like you're not real. I have taken a new strategy where I am just muting anything that drops below the 50% credibility mark. As for broze and kenny, they don't seem to understand anarchy, at all whatsoever. broze's last response to me was that 'nobody cares what i think' which is something an anarchist never has any place to say, as everyone's ideas are on the same level unless you are invoking authority. Kenny said 'anarchy is just doing what you want solong as nobody gets hurt' and that''s just wrong. I know it may look like I just started doing stuff because I also am doing the semi-anon thing, but I have been an activist and loud for years. I have a personal blog and twitter in my own name, anti-drug war, BDS, peace, occupy, I was at the FTAA protest in 2002 which was not easy. I don't see any of broze or suzie or disobedient media doing anything that is that risky, and compared to what I have posted in privacy workshop alone, the entire site of disobedient media pales in comparison. Plus I find a lot of trump apologism there.